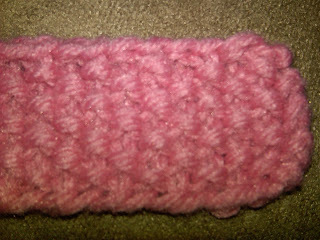 The hat I just made for my friends daughter used Moss Stitch for the hearts. 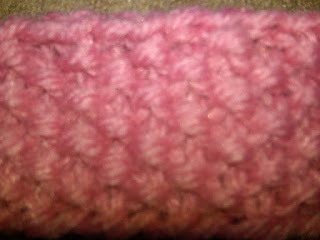 I am now a huge fan of this stitch pattern, as it is super easy to do and gives beautiful results. 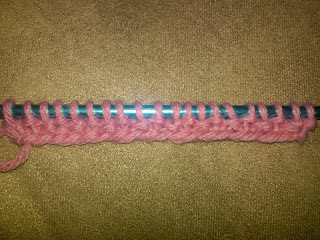 Do your first row as follows: Knit 1, purl 1 across row. 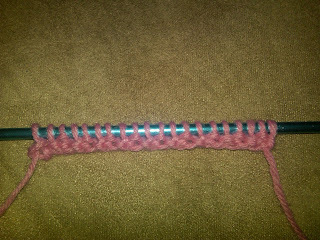 For your second row, purl 1, knit 1 across the row. 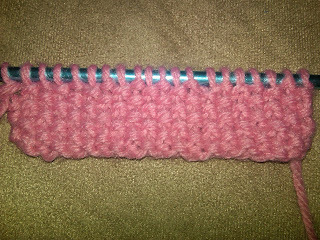 Continue knitting, knitting your purls and purling your knits. 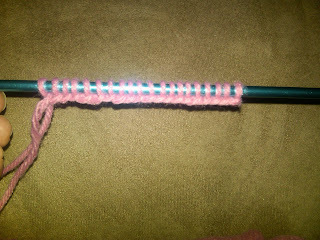 Keep repeating your rows until your work measures as long as you want it. Row 1: K1 P1 across. Row 2: K1 P1 across. Row 3: P1 K1 across. Row 4: P1 K1 across. It ends up more spread out. Win a $25 Visa Giftcard! A couple of finished projects & 1 new one!